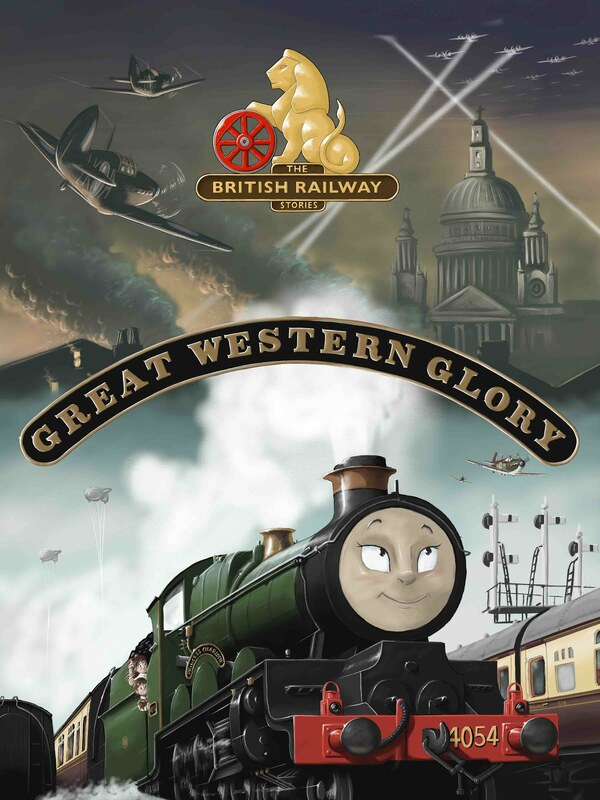 THE BRITISH RAILWAY STORIES LTD: "Saved for the Nation: The TUGS are coming home!" Last November, we were contacted and asked if we’d be interested in taking over the custodianship of the original surviving TUGS models. The owner had taken good care of the 18 remaining vessels since acquiring them, and expressed a great desire that they be kept together and remain in the UK where TUGS was filmed. Serious discussion amongst the staff and VIPs of the Sodor Island Forums resulted the creation of The Star Tugs Trust, a group of Brits (but including a few from the U.S.A. and Canada), committed to the preservation of these models, and who share the owner’s wishes. An acceptable offer was made and agreed to by both parties, with the TUGS fleet secured in whole by the Trust. The TUGS fleet has arrived safely home to port, and today, the 26th January 2013, the TUGS were officially handed over to the main representatives of the trust. We’d like to openly express our gratitude to the owner for naming us as the preferred bidders for the collection, and thank him for his support and kindness. We'd also like to thank our friends here and from other forums, for their support and patience in the negotiation stages. 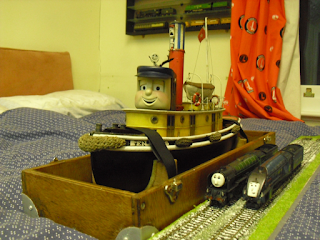 As 19 large boxes of TUGS models and equipment takes up a lot of room, we have found an interim solution by entrusting the TUGS between six named custodians, until we are able to provide a long term plan for a permanent, single location for the TUGS to be displayed for all their fans to enjoy. A short term goal that we have, is to take detailed photographs of each and every boat from all angles and to share these with you, the fans. Future plans also include restoring the models to their former glory, the details of which will be worked out by Trust members after full surveys and discussions as to the best way to proceed. At the same time, we'll be happy to recognize any financial contributions that will help bring us closer to that goal, and we are open to welcoming additional serious investors to be part of The Star Tugs Trust. We’re also investigating the possibility of 3D scanning the models to better understand how they were constructed, in the hopes of using this information to build replicas of the missing TUGS for which only the faces remain. Notably absent from the fleet is Top Hat, for example. In closing, we will always remain indebted to Mr. Thurston for looking after the TUGS models, and for entrusting them to us.